Speeding up MRAM; batteries for better braces; cheaper touch screens. 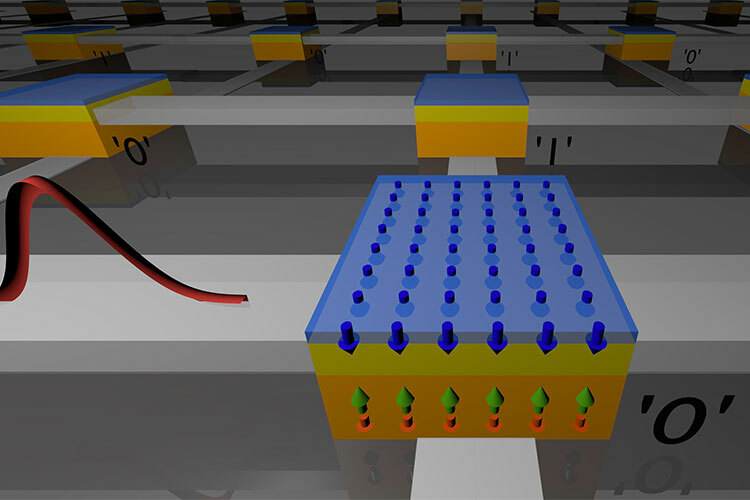 Researchers at UC Berkeley and UC Riverside developed an ultrafast method for electrically controlling magnetism in certain metals, which could lead to increased performance for magnetic RAM. While the nonvolatility of MRAM is a boon, speeding up the writing of a single bit of information to less than 10 nanoseconds has been a challenge. The team continued the research by looking for a way to expand the approach to a broader class of magnetic materials, beyond the gadolinium-iron alloy. “We found that when we stack a single-element magnetic metal such as cobalt on top of the gadolinium-iron alloy, the interaction between the two layers allows us to manipulate the magnetism of the cobalt on unprecedented time-scales as well,” said Jon Gorchon, a postdoctoral researcher at Lawrence Berkeley Lab and UC Berkeley. “Together, these two discoveries provide a route toward ultrafast magnetic memories that enable a new generation of high-performance, low-power computing processors with high-speed, non-volatile memories right on chip,” Bokor said. Researchers at KAUST developed a new device to help straighten teeth. 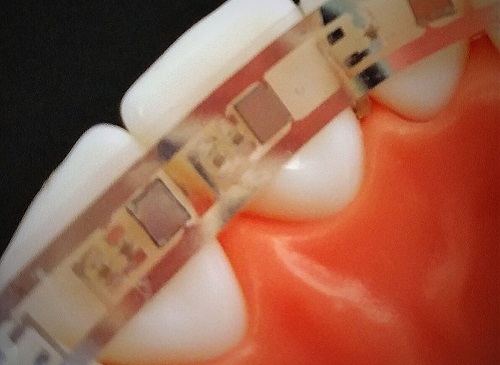 The orthodontic system involves placing two flexible near-infrared LEDs and one lithium-ion battery on every tooth in a semitransparent, 3D-printed dental brace. The batteries provide energy to turn the near-infrared LEDs on and off, depending on how they are programmed by a dentist, to provide localized light therapy according to the needs of each tooth. Phototherapy enhances bone regeneration and can reduce the time and costs involved in corrective orthodontics, the team says. The brace would be removable to allow the batteries to be recharged. The battery was redesigned using a dry-etching technique, which removes the silicon substrate normally found on its back. This process thinned the battery to 2.25mm x 1.7mm and made it flexible. Tests showed that the volumetric energy of the redesigned batteries remained high even after many cycles of continuous operation. The batteries were then encapsulated in biocompatible soft polymeric materials to prevent the possibility of leakage, making them safe to place in the mouth. To test the biocompatibility, human embryonic kidney cells were cultured on the batteries over a period of days, where they thrived and proliferated. The batteries’ electrochemical performance increased linearly with rising temperature, up to 90°C, making them stable. Hussain said the system is a preliminary prototype, “which is more than a proof of concept.” The next step, he says, is to conduct clinical trials. 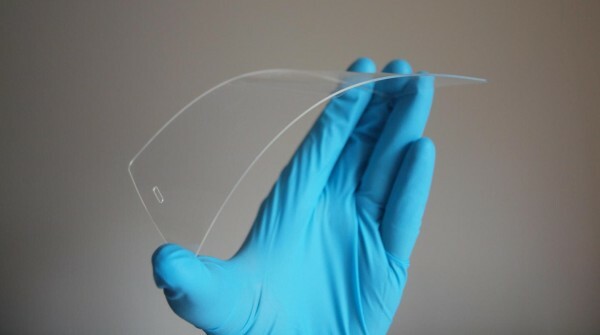 Scientists at the University of Sussex, the University of Surrey, and Taif University developed a material for smart phone touch screens that is cheaper, less brittle, and more environmentally friendly. Additionally, the material could lead to more responsive, lower power screens. Indium tin oxide, which is currently used to make smart phone screens, is brittle and expensive. The primary constituent, indium, is also a rare metal and is ecologically damaging to extract. Silver, which has been shown to be the best alternative to indium tin oxide, is also expensive. The new method combines silver nanowires with graphene, creating a hybrid material that matches the performance of the existing technologies with lower cost. The team says the process is inherently scalable, and could be implemented on a large scale using spraying machines and patterned rollers. The graphene layer prevents the silver from tarnishing, as it would otherwise do when exposed to air. Additionally, the hybrid film is flexible, capable of repeated bending without changing the electrical properties.